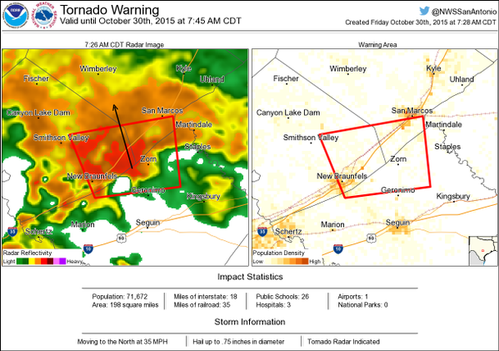 6:55 am - With Multiple Flash Flood Warnings & heavy rain ongoing take your time this morning with your commute. 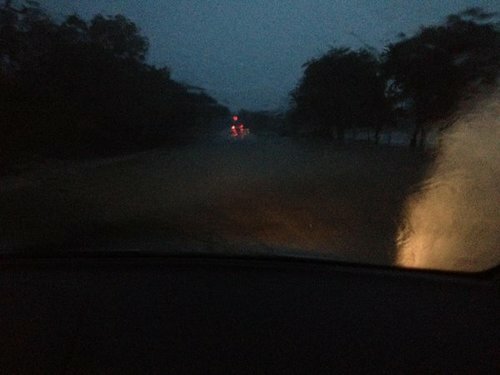 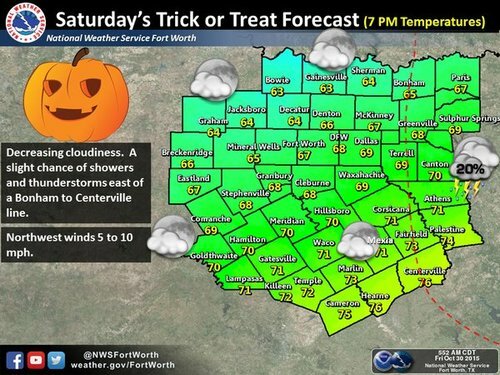 Turn Around, Don't Drown. 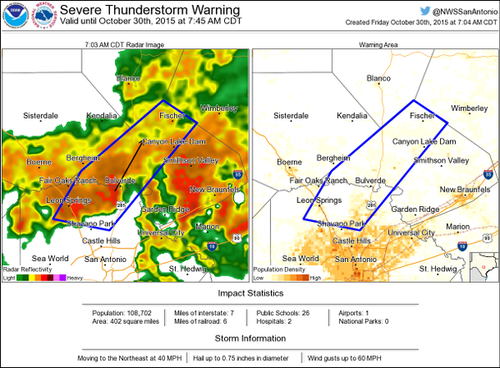 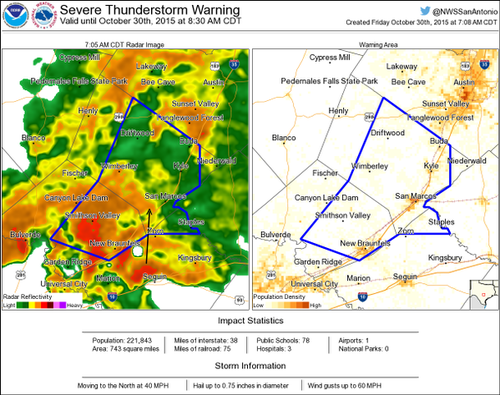 7:06am - Severe Thunderstorm Warnings for Bexar, Comal, and Hays counties are for straight line wind threat. 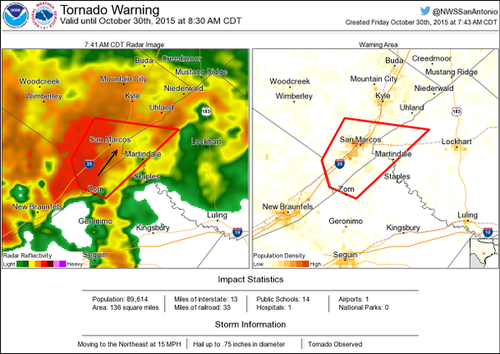 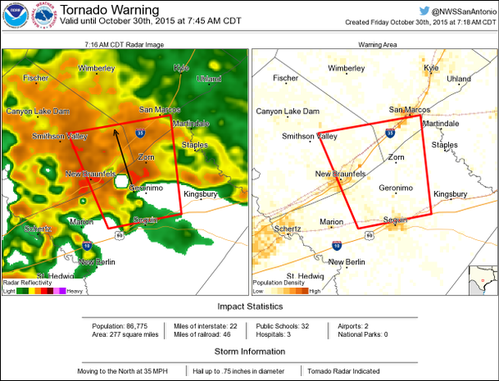 733AM: 2 radar-confirmed tornadoes just north of the New Braunfels Airport. 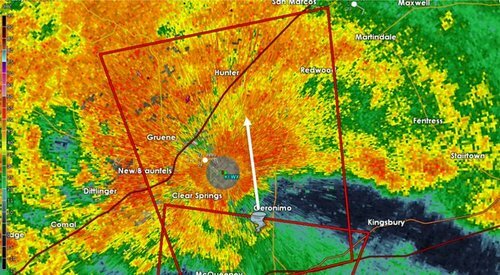 Redwood, Hunter, and southern San Marcos get into shelter NOW! 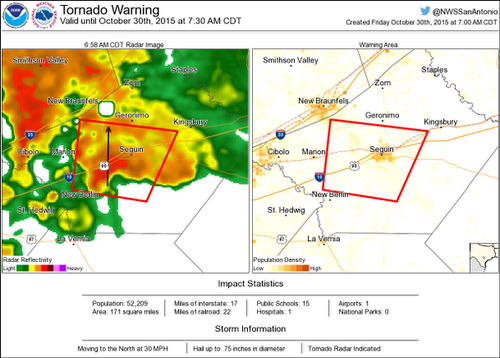 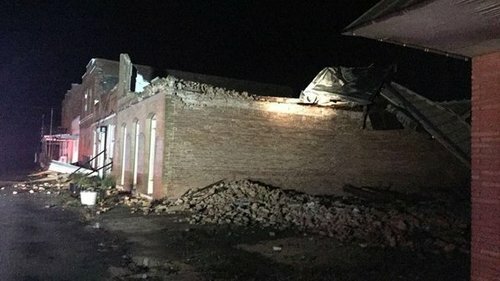 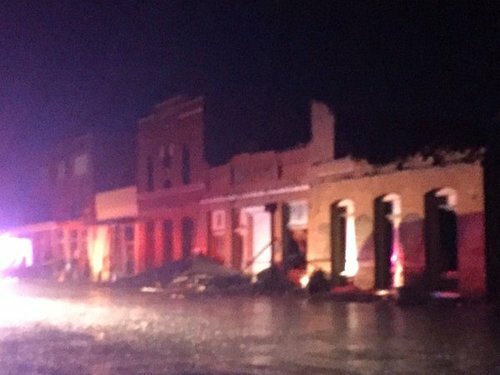 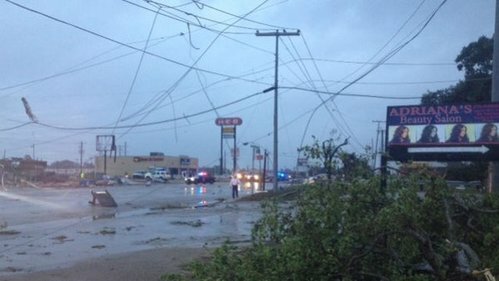 Tornado reported in San Marcos High School area traveling north-northeast. 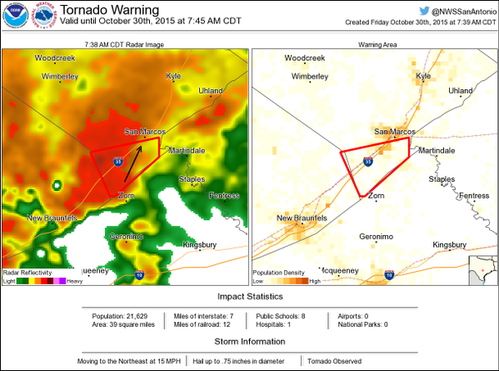 Take shelter. 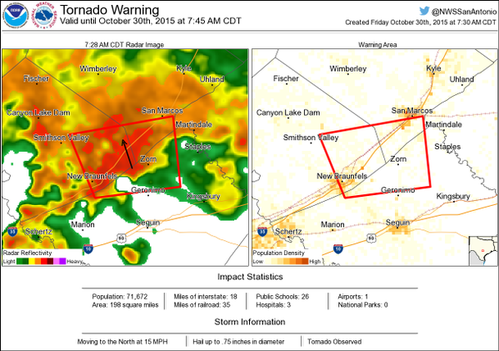 754AM: Tornado warning for Guadalupe County has been cancelled - storm moved out of the county. 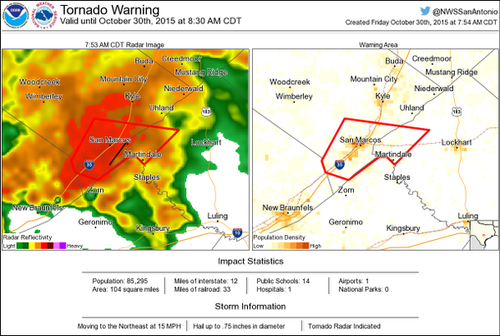 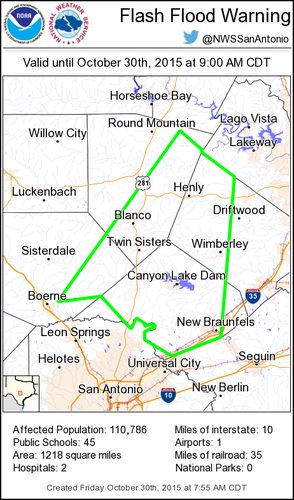 8 am - Strong straight line wind threat continuing in and around the San Marcos area. 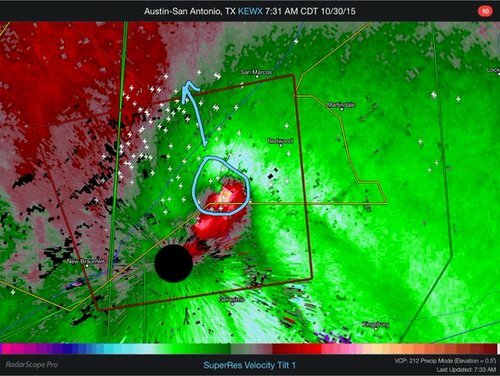 Tornado circulation not as impressive.